Creating online content can be frustrating, especially if you are new to the game. 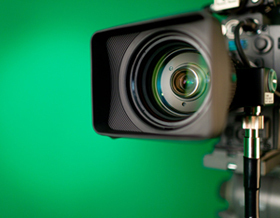 Here are 10 steps to ensure your videos get views online. Don’t try to copy what others are doing. You will never be as good as the person you are copying. You are the selling point of your content. Nobody can be YOU better than YOU! Work on own content and improve on it. Do not worry about viewership & readership yet. If you expect million views on your site or video on your first try, you may as well shut it down. Nothing is worse in a video than bad sound. Doesn’t have to be expensive. A decent condenser mic on Amazon ($70-$80) and Sound Mixer (8-12 channel Behringer $100) if you need multiple audio sources. These are all one time purchases that will make a tremendous difference in your audio quality. Recording audio with built-in mic on your phone or DSLR camera is extremely poor and will turn people away from your videos. Get a 9mm jack adaptor to plug-in to your audio-in on your computer. Again never ever get started with a 7 dollar cheap computer mic. BLUE Snowball ($50) is a good mic that plugs to USB and it sounds crazy good. Remember, high production value, high quality on low budget. 3. Your Background. Not your education, but your “set”. Nobody wants to see your bedroom, unless you are already famous, like Steven Spielberg, nobody will watch you. Ensure that your background reflects some sort of professionalism. At the very least, place your camera in front of a curtain, a dvd shelf, or a wallpaper. If you use a laptop, bring it to your living room tv, or media console. Put some effort into your background. A cheap way is to install curtain rods on a wall and buy some cheap coloured curtains from Ikea. Would probably cost you about $20-$30 depending on your budget. Still not camera yet. 90% of youtube videos are dark and shaded. Looks terrible and all these problems are easily fixed with a light. You can get a simple light bulb with a stand and umbrella for diffuser for less than $50 in amazon or Sim Lim Square in Singapore. You can have the best camera but without lighting it is pointless. Easiest thing is just get a lamp from Ikea that you can adjust. You do not need a $5000 camera. A webcam will work just fine for video podcast. A good recommendation is the Logitech C920 that shoots 1080i full definition for only around $80 in amazon. Of course you can always go for better, but this camera works just fine and takes a great image. Ensure that you are well lit, with proper audio and background. If you like angles, just get another unit to provide some extra perspectives for your audience. Camera’s are a lot cheaper than you think, and never EVER use your built in camera in your laptop. If you’re on the go, your phone works fine. If you have gained a number of followers on Youtube, then perhaps you can upgrade your gears to a DSLR. 6. Element of Shock. Not Surprise, but Shock. Every video on the web that has gone viral has an element of shock. The reason why Psy’s video got so viral was that every single shot in the video is unexpected and surprising each time it appears. Chances are you may not discover this shock element without causing some kind of embarrassment. As such, go for the next option. 7. Interact, read and connect with fellow video bloggers. Unless you are able to come up with an instant hit, you should interact with other youtube bloggers, watch their work and comment. That would create a network of fellow bloggers that will link your videos with others. In addition, you will also learn from each others creativity. Nothing is worst than thinking you are so good that talent alone will attract viewers. If you want to obtain an even higher number of views, you can choose to give people another reason to share your video besides their own interest. This can be done by offering a chance to win something, e.g. by making them answer a question and then forward it to friends, which each gives an extra entry in a competition. Simply interact with your viewers by asking them to drop a comment. Don’t think that all it takes to go viral on YouTube is a single video. The companies, like Old Spice, that have created many videos are the companies that see the biggest success rate. When you create a variety of videos not only are consumers more likely to find your video clips, but are also more likely to stay on your channel for longer, watching more of your videos and getting a better idea of your brand and your product. 10. If all else fails, Pay for viewers. Hate to get to this option, but its a proven miracle worker. If your video is boring, unimaginative, common, or just plain useless, nothing will boost up viewership than paid advertising. Google ads, Facebook (boost), Youtube ads, etc. And trust me it is proven. Many products have gained more viewers by paid advertisement than just waiting for viewers to come. Especially if you are hoping to gain viewership for the sake of business. Bear in mind that even if you follow all of them to the teeth, you may still end up with nothing to show for. If that happens, you can either persist on making more videos or perhaps something else is more suited for you besides online video making. Is working environment important to us?